Image courtesy of ConFashions from Kuwait. 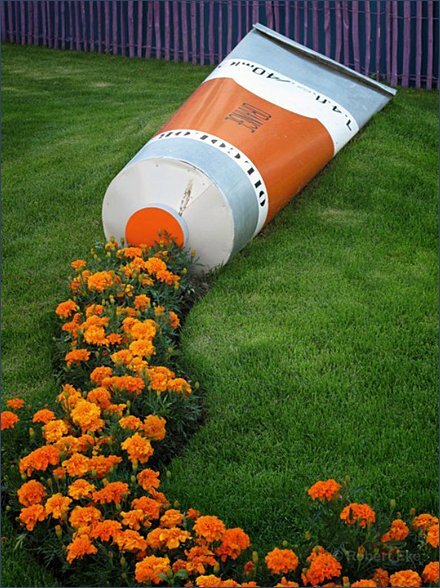 It is a well-know fact that I only profile simple Visual Merchandising where less is more. 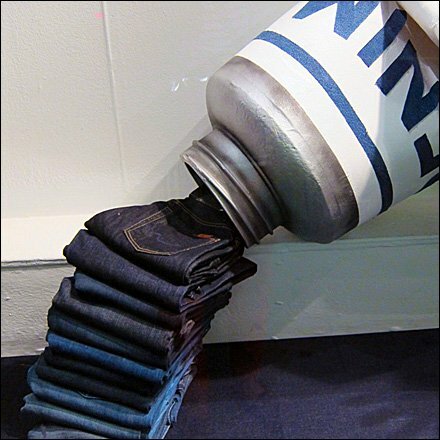 There can’t be much less than jeans being squeezed from a tube as outlandish attention compeller. Though difficult to see the detailing, the tube trim and typography is denim too. Main mage courtesy of ConFashions from Kuwait. CLICK the thumbnail for an alternate implementation courtesy of Black Rainbows.